No matter what the issue might be with your heating system in Hudson, we have an affordable and professional solution. This is why the experts at Hudson Heating offer quality-driven heating repairs, service and installation and have done so for the better part of 20 years. 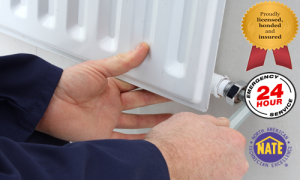 And with every home or business heating job we undertake, are top priority is to get the job done right – and always on time and within budget. There is nothing worse than having a heating system break down in the middle of winter. And if this happens to you, our team at Hudson Heating is ready to repair your heating system. Whether you have a furnace, a new all-in-one HVAC system or even a heat pump system, our team of certified and licensed heating repairs specialist can get the job done – and always at affordable rates. Give us a call today for any and all home or commercial heating repairs in Hudson NJ. From brand new Energy Star® rated heating systems to replacement furnaces, if you’re in need of professional HVAC installation services, we are ready to take on the job. Each of our professional service experts are highly skilled at installing virtually any sort of heating system in Hudson NJ and surrounding communities. And with each heating installation we undertake, you can be certain that quality and your family safety will be our top priority. Contact our friendly team of service professionals to day to speak about all of our heating system installation programs in Hudson for all sorts of residential properties. Just like any major appliance, keeping your heating system maintained is vital to its longevity. From routine filter replacements to detailed annual inspections of all sorts of heating systems, our team at Hudson Heating has the experience and ability to deliver an affordable heating maintenance program in Hudson NJ that will fit within your budget – and keep your system running in tip-top shape around the clock. Finding a heating service repair company in the Hudson NJ area is easy. But when you need to depend on a professional company to complete your home and office heating repairs, installation and maintenance on time and within your budget, you can rely on our commercial heating experts.